Established in 2010, at Stockport Electrical we pride ourselves with an experienced, professional, reliable service. We draw on a wealth of experience for the supply and installation of Commercial, Industrial and Domestic Electrical Contracts. As Electrical Contractors we have successfully completed numerous contracts for small to large projects. See our gallery page for more information. We have built up an enviable reputation for our quality of workmanship and customer service. Our Electricians pride themselves on the quality of their work, and our company's aims are to maintain high standards of workmanship and customer care at all times. 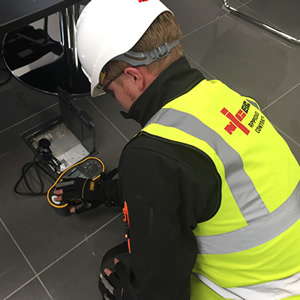 All of our Electrical engineers are professionally trained and qualified with extensive experience and expertise in domestic, commercial and industrial environments. © Stockport Electrical | Industrial, Commercial and Domestic Electrical Services 2015 - 2019. All Rights Reserved.